City engineer Bruce Mowry is a “tell it like it is” guy. Before a packed room of residents of the La Gorce and Lakeview neighborhoods, Mowry laid out the generally accepted impact of sea level rise by 2050, showing most of their streets underwater if no action were to be taken. But, he pointed out, the City is taking very intense, deliberate steps – installing pumps and elevating roads as has been done in Sunset Harbour. And, now, the City is targeting La Gorce and Lakeview in “one of the largest neighborhood projects the city has taken on,” according to Mowry. The project is estimated to cost $100 million, financed through a combination of stormwater and wastewater fees and general obligation bonds. 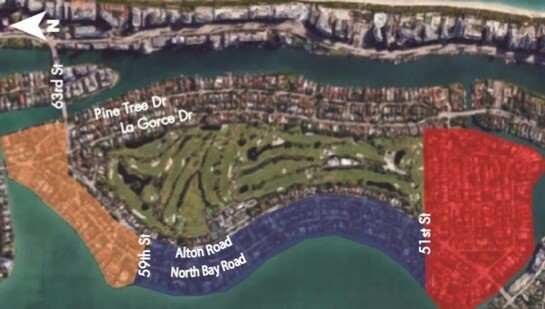 Overall, the project area includes the Northern limit of La Gorce Island, an Eastern limit of La Gorce Country Club, Southern limit of Surprise Lake, and the Western limit of Biscayne Bay. Breaking the project into three smaller areas will allow up to three different contractors to bid and work on the project, keeping the length to 24 months of construction. Full construction is expected to begin in the fall of 2017. In addition to new pump stations at Fisher Park, the street end of 56th Street, and the South side of the 63rd Street Bridge at 63rd and Alton, roads will be elevated to 3.7 feet (meaning most roadways would be raised about 2 feet from where they are now). Roads will be “harmonized” to existing driveways, creating a more gradual grading. 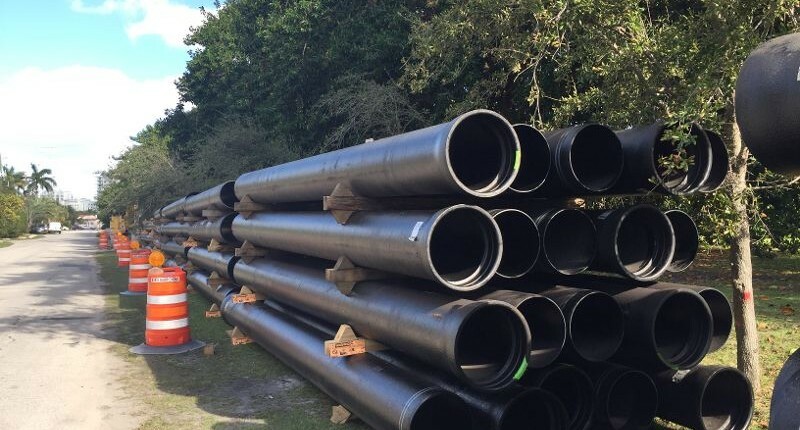 The City will pay for the harmonization and will also pay to move sewer connections from back yards to front as long as homeowners undertake the work as part of this process. If connections are not allowed to be moved by the homeowner now, the cost would be their responsibility in the future when it will be required to connect to a new system. Finally, new street lighting will be installed and a dedicated bicycle lane will be added on 51st Street. The state will begin work to raise Alton Road in the area in 2020 and the City is pushing ahead to have their portion of the project completed by then to ensure construction disruption is not worse with multiple major projects going on at the same time. Many questions were raised, along with frustrations. While no one disputed sea level rise is coming, several residents expressed concerns about the impact of the elevated roads on property values and the potential for water pooling in their yards. Director of Public Works, Eric Carpenter said the City is creating a toolbox for residents that may include the ability to pump water from their properties into the City stormwater system. He described that as an idea in the very early stages but indicative of the City’s desire to find ways to help homeowners mitigate some of the potential issues. “We’re not going to leave anyone behind in this process,” he said. Regarding concerns over insurance, Carpenter indicated the City is working closely with FEMA which administers the National Flood Insurance Program to help them understand the innovative initiatives the City is taking both to ensure insurance is available and to potentially gain a higher rating to keep costs from going up too much. The next public meeting is anticipated to be in approximately two months. Primary contact for the community is Heather Leslie who can be reached via email or phone: 305-905-5876. Contact her to be added to the email list and to schedule meetings to discuss individual or neighborhood situations. The City's presentation to the community can be found here.